Summer evenings were always such a time of wonder for me as a child. When I was very young, my father would take me and one or another of my other siblings for a walk with him in the evening after dinner. 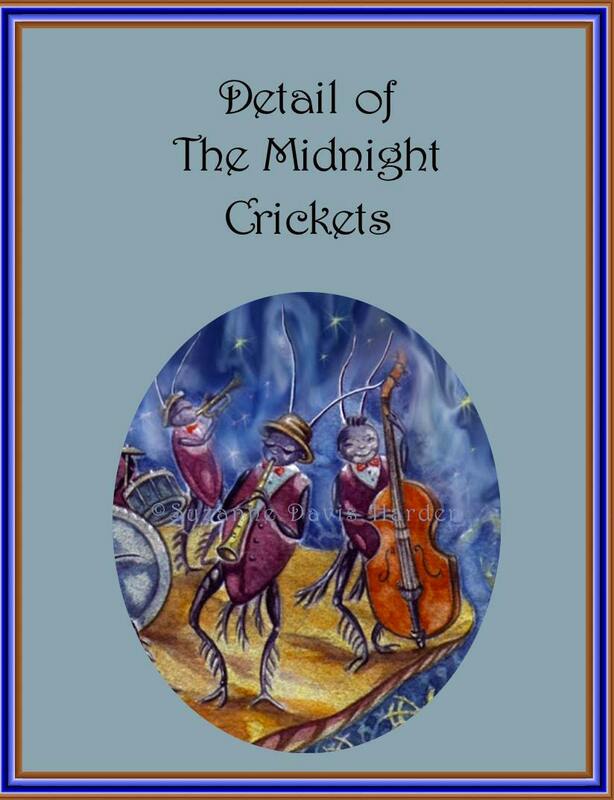 In the summertime, the crickets and other night creatures would invariably be singing loudly. On cloudless nights, when the moon was high, it seemed as though there really was a little person called the man in the moon and that he was singing along with the crickets and forest creatures in the tall pines that embraced all sides of the golf course that led up to the Bay. 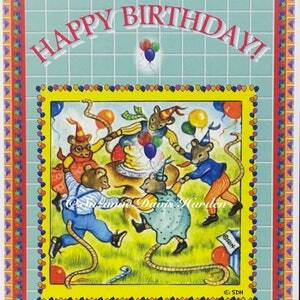 Filled with joy, my siblings and I would make a wish on our chosen star! I can’t remember what any of my childhood wishes were now. But the greatest gift my Dad gave to us on those wonderful walks we took together in the evenings, was the gift of wonder. He gave us the gift of enchantment. He helped us to believe that we could have a dream and that it could really come true if we believed in that dream and never stopped believing in it. What a wonderful legacy to instill in your children: the gift of believing. 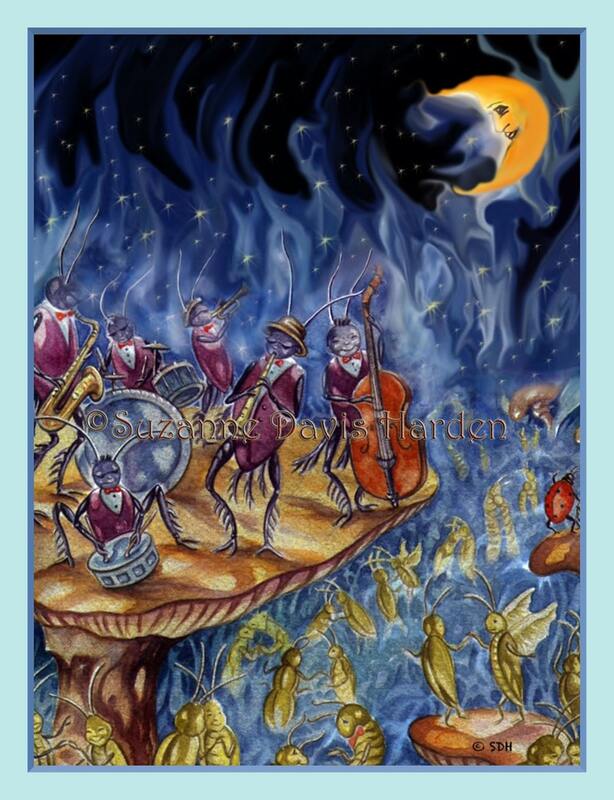 My painting “The Midnight Crickets” is inspired from those precious walks with my father long ago when the crickets were singing and I imagined them partying and dancing the way my mom and dad loved to dance to their favorite swing era music on the weekends. 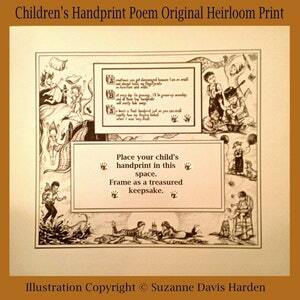 This whimsical children’s print is a fun way to inspire wonder in any child’s imagination, a gift of enchantment that will last them a lifetime. 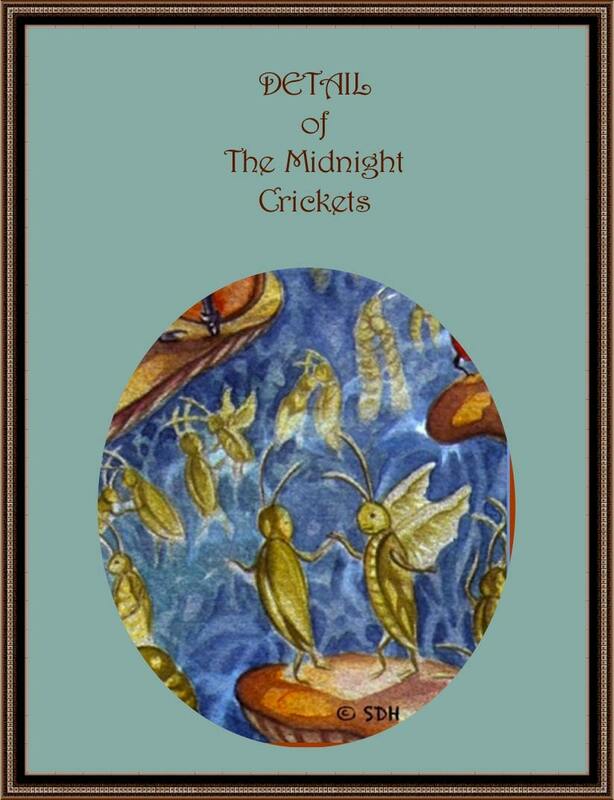 The Midnight Crickets Fine Art Print measures 8 ½” inches x 11” inches. I print the high-resolution image (600 ppi) onto glossy photo paper with high quality, recycled, environmentally safe inks. 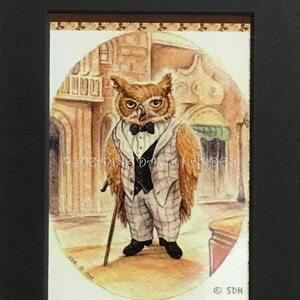 I ship this print via Priority Mail in a protective sleeve. 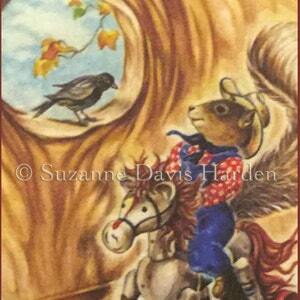 The image is watermarked here on my Etsy site but your purchased print will not be watermarked.